Demetrious Johnson is not one to talk trash, or even speak out of turn. As MMA fighters go, he’s about as well-mannered and soft spoken as they come. Thus it came as a shock to many when Mighty Mouse decided enough was enough, and released a statement tearing into the UFC and its president, Dana White. First off, the statement, which started as an MMA Fighting exclusive and later made its way to Discord. The full statement is well worth a read, especially given it comes from one of the most gifted (and arguably pound-for-pound greatest) fighters of the modern era. 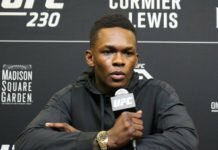 In short, Johnson, the UFC’s first and only flyweight champion, says that the “UFC’s mistreatment and bullying has finally forced me to speak out.” He then goes on to list a litany of abuses and mistreatment the company has committed, mostly surrounding efforts to book Johnson into a record breaking eleventh title defense. 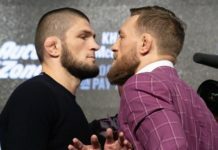 Among them: denying PPV points in future when the fighter pushed for a different fight than what was offered, an attempt to force Johnson to sign on for a new opponent (T.J. Dillashaw) after a previous one had already been agreed to (Ray Borg), and a threat to drop the flyweight division entirely if the champion didn’t comply. Not surprisingly, White was the center of much of the discord, while new matchmaker Mitch Maynard (stuck in a messenger role, it seems) was generally spared Johnson’s ire. Again, the full statement is well worth a read, so be sure to check it out. That said, the most disappointing aspect is how poorly the UFC has apparently treated one of its most loyal soldiers. Demetrious Johnson has long been touted as arguably the best fighter alive by the UFC. Dana White has said it’s “hard to not” call him the best ever. Is he a huge draw at the gate or on PPV? No, but that hasn’t stopped the UFC from consistently booking him on Fox cards, making him one of the most recognizable fighters on the network. So why play hardball with a guy who has gladly taken on the mantle of TV champion, done everything asked of him, and who does nothing but win? The UFC and parent WME|IMG will not doubt argue that it’s all about the benjamins, but threatening to close a division, and publicly smearing a champion, is going a bit far. Not that it hasn’t happened before. The smearing, at least. And therein lies the problem. For the past few years, the UFC has done everything in its power to portray itself as a legitimate sporting organization, not the circus sideshow that the boxing world became in the late 90s/early 2000s. It went out of its way to bring in USADA and force athletes to wear uniforms, to the detriment of the fighters themselves. 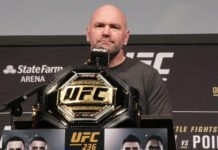 Yet when you compare the Dana White led UFC to any other league (which is what the UFC really wants to position itself as), well… NHL Commissioner Gary Bettman may be one of the most disliked commissioners in sports, but for all acrimony he has generated, he’s never thrown players under the bus the way Dana White consistently has. Mighty Mouse. GSP. Randy Couture. Tito Ortiz. Frank Shamrock. Ken Shamrock. Countless others. When you stand back and look at it, the President of the UFC sure has a habit of winding up in very public beefs with its biggest stars. Now ask yourself if it’s any surprise that many top names are walking over to the other side of the fence at Bellator MMA. The UFC still reigns supreme, of course. Yet in a year mired with controversies, this is yet another black eye, and one that simply didn’t need to happen. Threatening a fighter’s bottom line with the removal of PPV points for seemingly petty reasons (especially given Johnson rarely fights on PPV), questioning him in public — that’s amateur hour. As much as the UFC wants to be thought of as a professional sporting enterprise, petty actions like this prevent it from getting there. So is there a fix? Probably. Yet it’s unlikely to come in the current climate. As with any company with unhappy employees, the corporate culture must be willing to change. If it doesn’t, employee morale will continue to plummet, and eventually, the most gifted workers will take opportunities elsewhere. It’s a process that can take years, and can only corrected by major policy changes and often a change in management. Thus far, the UFC hasn’t proven willing to make the changes necessary. Until it is, it will continue its disappointing and downright petty approaches to dealing with fighters, and fighters like Johnson will continue to be pushed into a corner. Ultimately, if it doesn’t drive talent elsewhere, it may bring fighters together with a common cause in the form of a union. Which might be the best result in the end. After all, early in his statement, Mighty Mouse suggested that he wanted fighters to band together “to start getting fair treatment.” That might be one way. In the meantime, it looks like the UFC’s longest serving champion is on the outs with the promotion. Ultimately, Mighty Mouse vs. the UFC might be the champ’s toughest fight yet.